With both Intel and Nvidia launching new chips at CES this year, Dell has been quick to release a selection of Alienware and Inspiron laptops with fresh hardware inside. The products on show aren't entirely new models – most feature largely the same specifications as last year's variants – but it's pleasing to know that prospective buyers will be getting the latest internals as early as this week. The Dell Inspiron 14 7000 and Inspiron 15 7000 are 14- and 15-inch variants of essentially the same mid-range laptop, and both now come with either an Intel 'Kaby Lake' Core i5-7300HQ or Core i7-7700HQ processor. 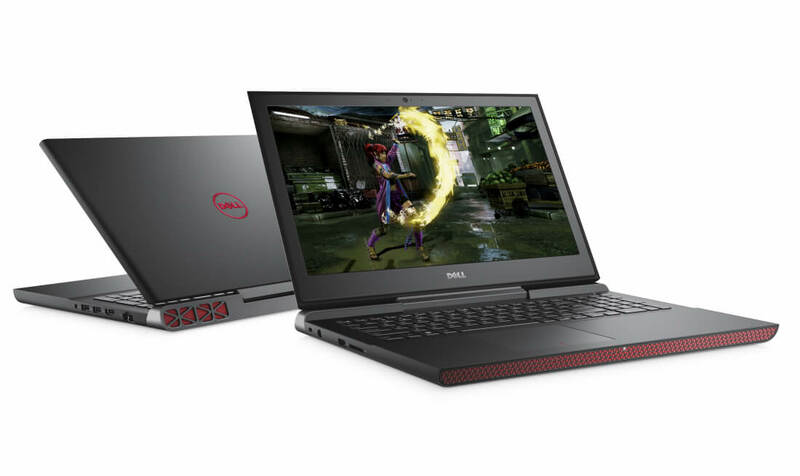 The Inspiron 14 7000 is equipped with GTX 1050 graphics, while the 15 7000 gets either a GTX 1050 or GTX 1050 Ti, depending on how much you want to spend. Other hardware includes up to 16 GB of RAM, up to 512 GB of PCIe storage (in the 15-inch model), a 1080p display (upgradeable to 4K in the 15-inch model), and an array of three USB 3.0 ports. The Inspiron 15 7000 will be available on January 5th starting at $799, however Dell didn't reveal when the 14-inch model will be available or at what price. It's a similar story for the new Alienware line. 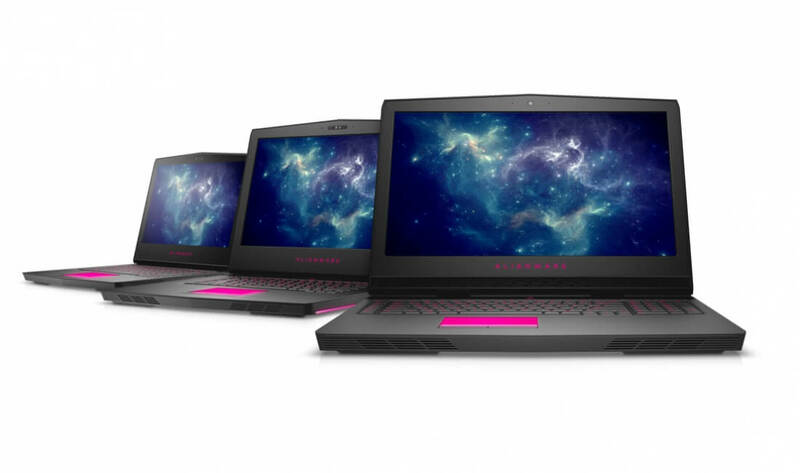 All three Alienware laptops (the 13, 15 and 17) now come with an Intel Core i7-7700HQ processor inside. The Alienware 13 and 15 are also available with the cheaper Core i7-7300HQ, while the Alienware 15 and 17 can be configured up to an unlocked Core i7-7820HK. This is the same set of configuration options as before, except all Skylake CPUs are replaced with their Kaby Lake equivalents. Alienware hasn't ditched Nvidia's older GeForce 10 series GPUs across their line-up (the Alienware 17 still comes with a GTX 1060, GTX 1070 or GTX 1080, for example), but new entry-level models are now available with the GTX 1050 and GTX 1050 Ti inside. The Alienware 13 is the only laptop that has a GTX 1050 option, while all three can be kitted out with a GTX 1050 Ti. The inclusion of new entry-level models means that the starting price of all Alienware laptops are now slightly cheaper than before. The Alienware 13, 15 and 17 will now start at $999, $1,299 and $1,349 respectively, with new models arriving on January 5th. Interesting. Wish they would make them M.2 SSD only and use the extra space for a larger battery. Wish they'd bring the price down a bit further. The Alienware 13 i7 7700HQ + 1050 + Graphics Amp for $899+/- would be excellent. Dell drops prices hard when a new refresh is incoming. Figure fall time when Volta releases. So you are asking for an expensive proc with subpar video, ok that aside, a system which is not lower than 1600 (On that proc range). Not only that but you want them to also bundle it with a 200 accessory. But half priced. Dreaming is cool, not saying anything against it.